Many times the cost of the hotel can raise or decrease the price of your trip. 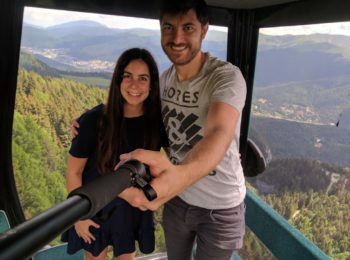 If you want to travel on a low budget, then it’s important to know the next websites and tips and if you travel with a high budget you should know them as well. Because I think it’s a pity to spend a lot of money on hotels instead of enjoying the money on fun stuff like attractions, good restaurants, and more. Especially for you I have gathered in one post all of my favorite sites that can help you to reduce your hotel prices and also after you book the hotel how to make it even cheaper. It’s an engine that compares between all the familiar sites like Booking, Agoda, Hotels, and also between other unfamiliar site like Amoma and shows you which one gives the best price. Several times I booked from Amoma because I saw in hotelscombined that this had the cheapest price. For example in Las Vegas it saved me 600$ for 7 nights. When you search in hotelscombined you can choose the number of guests and type things like 2 adults and a child. You can filter the results according to the hotel’s stars, range of price, rank of the visitors (I usually filter only hotels that rank with 8 or 9), type of hotel (apartment/resort/hostel, and more). And there are a few more good filter options that you can choose in order to find the hotel that fits you the best and also you will see who gives you the cheapest price for this hotel. Sometimes the price that you see doesn’t include taxes, so you need to enter the site it offers and see how much the final price is. Many times we prefer to book hotels with a free cancellation option. Sometimes it’s a little bit more expensive but I think that usually it’s a better option. Why? Because sometimes your plans during the trip change, sometimes you can’t go to the trip at all, and sometimes the hotel reservation has a price drop, after the reservation was made. In the case for price drops, Pruvo was created. It alerts you once the price was dropped and then you can cancel your existing reservation and book it at a lower price. Also a lot of sites like Hotels.com have a price guarantee, but, what does it mean? If you see the reservation that you made is at a cheaper price, then you can request a refund for the price difference if your booking is refundable and you found the cheaper price on another website. 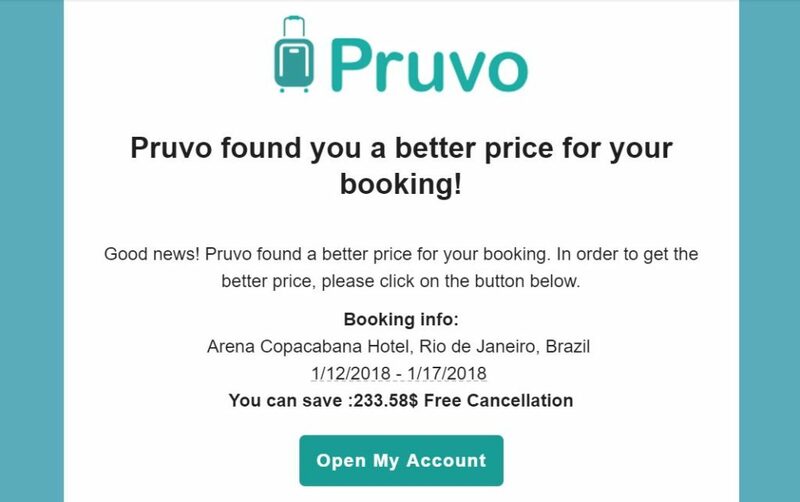 About 40% prices drop and you could have a get a cheaper price, but you didn’t know :\ instead of checking the prices all the time, Pruvo does it for you. The best thing about Pruvo is that it is completely free. Just send them the reservation you made by mail and they will update you once the price drops. You probably know this site already but it’s really good. The best thing about it is the huge amount of reviews it has for every hotel. A lot of people enter their reviews there, so it helps you to get a better picture of the hotel. Before booking any hotel and no matter from which website I recommend you to enter this site and check the reviews for the hotel you want. It’s important to pay attention to a bad review that keeps returning in many reviews of that hotel. Like reviews about bad location or low cleanliness quality. Many times websites like hotels.com offer discount coupons for hotel order. The easiest way to find these coupons is to install a browser extension that does it for you automatically at the checkout with a single click. Because if you don’t have a specific hotel that you want to book, this site can offer you hotels with a big discount, but you will just be able to know the name of the hotel after you book. Just after you book the hotel you will see its name. I liked the surprise element in this website. We booked from a hotel in Larnaca Cyprus which was great and it was cheaper than anywhere else. Did you know that some hotels give a better price per night, if you book 3 nights instead of 4 nights? So, in this case for example, it will be cheaper to split the order to two orders and to book 3 nights and one night instead of 4 nights, in order to get the lowest price. This site splits the reservation for you in an optimal way in order to save you money. The split is invisible for you, so actually you do only one reservation and it splits the reservation behind the screen. It’s important to mention that the price it shows doesn’t include taxes, so enter its offer to see the final price. It’s worth it to check directly with the hotel/hostel you found online before booking. Sometimes they will give you a better price and also to save you from the commission of the agent’s site.